Dolapo Badmus, is the Zonal Police Public Relations Officer, Lagos Police Command and she has written an open letter to SARS operatives asking the corrupt ones among them to stop the unlawful arrest of well dressed young men walking on the street with claims that they are Yahoo boys. According to Dolapo Badmus, a lot of the well dressed young men are “hustling” up and down to make ends meet. OPEN LETTER TO SARS OPERATIVES. 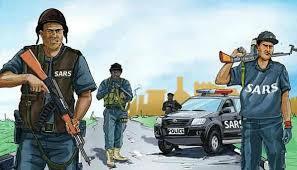 Dear SARS we appreciate the ones among you doing what is right while we advise the bad eggs to take a clue from IRT team and stop causing pains to legit young men and their families. Please note that it is not right to accost anyone on the road and start checking his or her phone, respect people’s privacy and rights!...THANK YOU. God bless Federal Republic of Nigeria, God bless Nigeria Police Force.